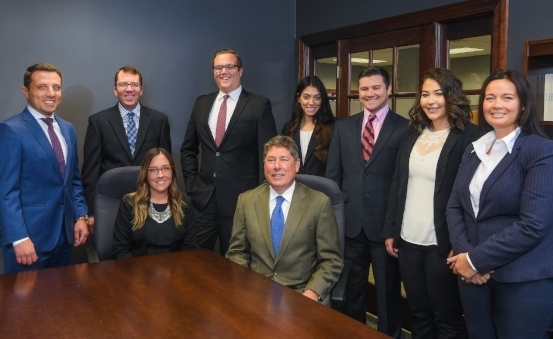 The attorneys at Robert J. Fedor, Esq., L.L.C. find permanent solutions to complicated tax problems for businesses and individuals throughout the country and worldwide. The Internal Revenue Service is a powerful government entity that will employ every tactic available to secure taxes owed. Our representation can protect you! Clients facing audits, dealing with payroll tax problems or facing possible criminal charges require immediate attention. Contact the tax professionals of Robert J. Fedor, Esq., L.L.C., at 800-579-0997. The best way to resolve a tax controversy is to hire actual tax attorneys who take an individualized approach to each case. There are unique aspects to every tax problem. Resolution can be found through an offer in compromise a Chapter 7 or Chapter 11 business bankruptcy filing or countless other alternatives. An effective and permanent solution may work in one case, but not in another. The attorneys at Robert J. Fedor, Esq., L.L.C. offer a free initial consultation at their offices, or via telephone at a convenient time, for individuals and businesses throughout the United States. With IRS tax law the same throughout the nation, oftentimes there is no need for a face to face meeting to resolve complex tax problems. To schedule an appointment with an experienced tax lawyer, or for more information about our services, please fill out the form or contact Robert J. Fedor, Esq., L.L.C., or call 800-579-0997.